Celebrating his 93rd birthday today, President Mugabe is still going strong and continues to stir Zimbabwe towards unity and development. He is a revolutionary who, through his deeds, has proven to the world the essence of nationalism, patriotism and peace. Robert Grabriel Mugabe is born at Kutama Village in Zvimba district. He is the third of six children born to Gabriel Matibili Mugabe and Bona Mugabe. He grows up herding his father’s cattle in Zvimba and takes charge of the family at an early age after the death of his siblings Michael and Raphael and the relocation of their father to Bulawayo. For his early education, he goes to Kutama College where he excels in school under the Jesuits priests and guidance of Father Jerome O’Hea. 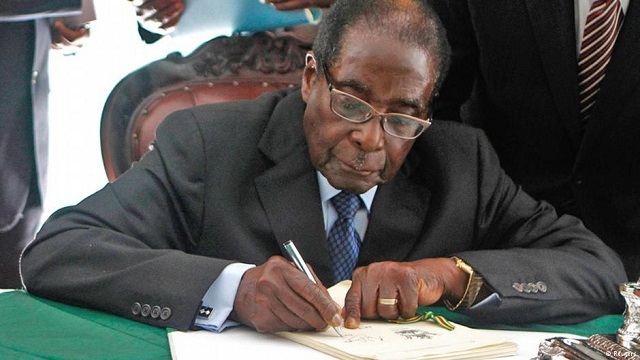 Mugabe is offered a place in teacher training at Kutama, where he attains a diploma. 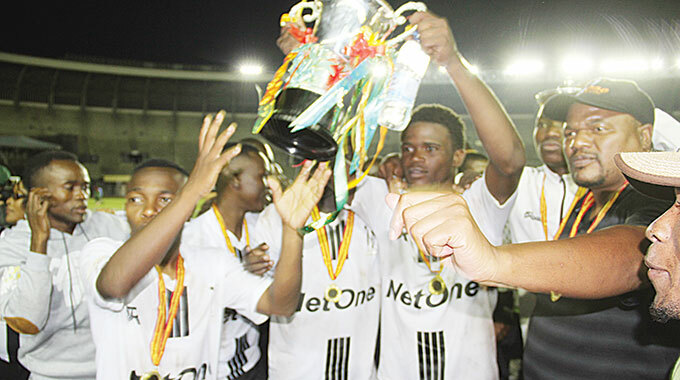 He wins a scholarship to study at the University of Fort Hare in South Africa’s Eastern Cape. There, he joins the African National Congress, and attends African nationalist meetings, where he meets a number of Jewish South African communists who introduce him to Marxist ideas. In later years he describes his time at Fort Hare as the “turning-point” in his life. Mugabe attains a Bachelor of Arts (History and English) degree from the University of Fort Hare. 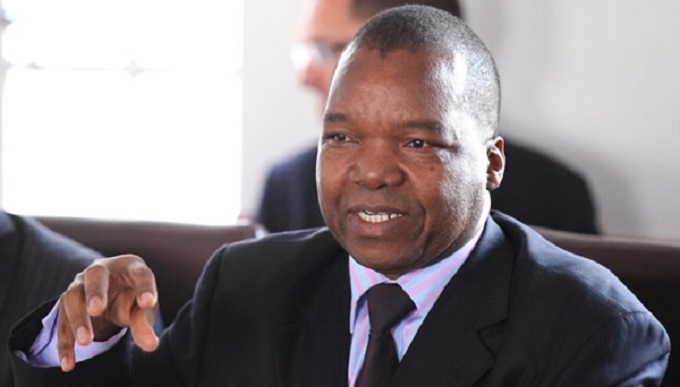 He moves to Northern Rhodesia, there, he teaches for four years at Chalimbana Training College while also working towards his Bachelor of Sciences Degree in Economics through correspondence courses with the University of London. Mugabe moves to Ghana where he becomes interested in Marxism and nationalism. He meets his first wife Sarah (Sally) Hayfron while teaching at St Mary’s Teacher Training College. In tandem with his teaching, from 1958 to 1960 Mugabe attends the Kwame Nkrumah Ideological Institute in Winneba. He says it was during his time in Ghana that he finally embraced belief in Marxism. He returns home to Southern Rhodesia to an oppressive colonial system and he easily finds himself involved with nationalists’ politics. He chairs the inaugural congress of the National Democratic Party in October and is chosen Secretary for Information and Publicity. Cde Mugabe marries his first wife, Sarah Francesca Hayfron, a Ghanaian teacher. He, together with Ndabaningi Sithole and other nationalists like Leopold Takawira, Edgar Tekere, Morton Malianga, Enos Nkala and Maurice Nyagumbo, form the Zimbabwe African National Union (Zanu) after differences emerged within Zapu about how the struggle against the white settler regime would be prosecuted. He is arrested and spends the next 11 years in prison, a period he uses to improve his education. He gains several further degrees from London University: an MSc in economics, a Bachelor of Administration, and two law degrees. His first and only child with Sally Hayfron, Nhamodzenyika, dies at age three from cerebral malaria in 1966. He was denied permission to bury his son by the regime of Ian Smith. After being released from prison, Cde Mugabe moves to Mozambique, accompanied by Cde Tekere and Chief Rekayi Tangwena and assumes leadership of Zanu after the famous Mgagao Declaration signed by guerrillas at Mgagao camp in Tanzania. He leads a delegation to the abortive independence talks in Malta. 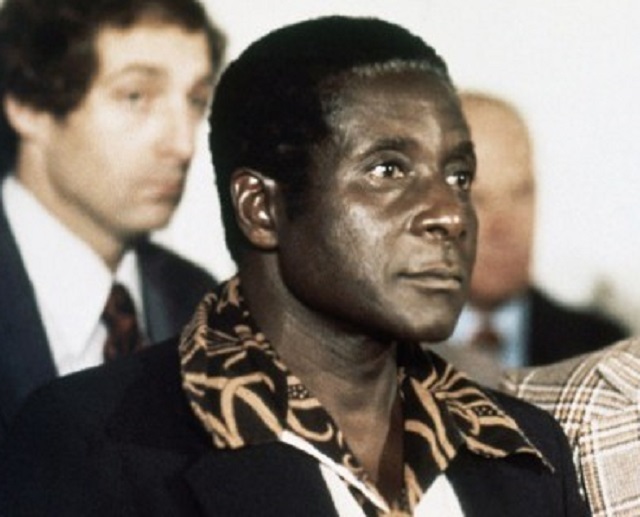 By mid-1976, Mugabe gains the allegiance of commanders of Zanla, the military wing of Zanu, and achieves dominance over Zanu, establishing himself as the most prominent black guerrilla leader battling Smith’s regime. He is elected the president of Zanu during the party’s congress in exile at Chimoio, Mozambique. Cde Mugabe leads Zanu to the Lancaster House conference in London that ended the 15-year liberation war. British rule ends and Cde Mugabe becomes Prime Minister of the new Republic of Zimbabwe. He pronounces the policy of national reconciliation thus restoring confidence and peace enabling national reconstruction. As the country’s first black Prime Minister on January 1, he calls for free primary education for all pupils and guarantees admission to secondary schools for all those who qualified. He is one of the most educated presidents in the world as he holds seven academic degrees and 11 honorary awards from different universities. He leads the country and makes great strides in education, health care and provisions of social services are achieved under his watch. Cde Mugabe signs the Unity Accord with PF-Zapu leader Dr Joshua Nkomo, which ends disturbances in Matabeleland and the Midlands regions which had been experienced since the early 1980s. This results in a united Zimbabwe African National Union-Patriotic Front (Zanu-PF). Cde Mugabe becomes Executive President of Zimbabwe. Cdes Joshua Nkomo and Simon Muzenda become Vice Presidents. The President implements a five-year development plan, which eases price restrictions for farmers, allowing them to designate their own prices for their produce. This greatly improves the economy. He is awarded the Africa Prize for leadership for the sustainable end of hunger by US-Based Hunger Project. He uses the $100 000 prize money to launch the National Agricultural Scholarship Fund. 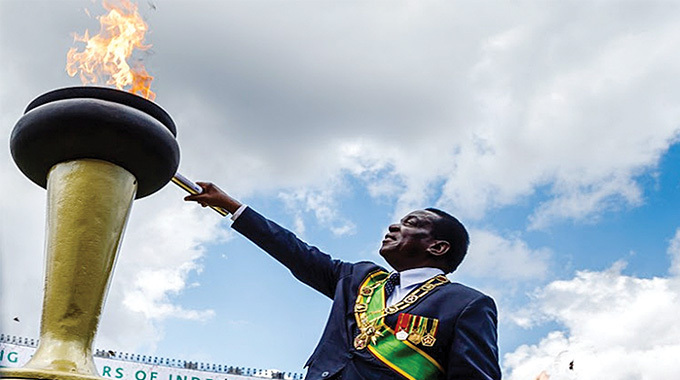 Zimbabwe hosts the 1991 Commonwealth Heads of State Meeting (CHOGM) Summit and President Mugabe assumes chairmanship of CHOGM for the next three years. President Mugabe’s first wife Sarah Hayfron, popularly known as Sally, dies from a kidney ailment. He assumes chairmanship of the World Frontline States in March and leads the OAU ad hoc committee in Angola. The end of the five-year development plan period, the economy reflects some growth in the farming, mining and manufacturing industries. 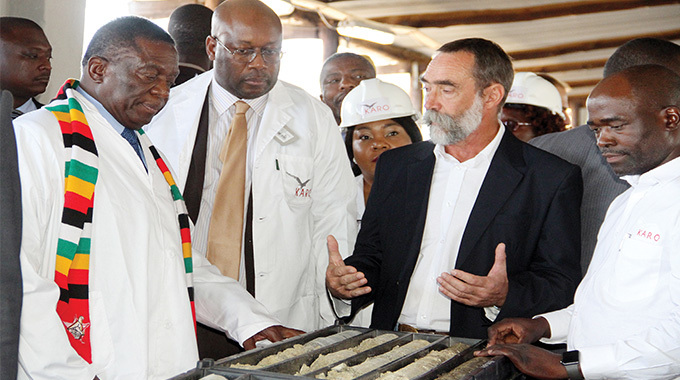 President Mugabe additionally manages to build clinics and schools for the black population. He is conferred chairmanship of the World Solar Commission in March and he assumes chairmanship of the G15 in November. President Mugabe is also awarded the Olympic Order of Gold for his eminent contribution to the Olympic ideals. He hosts and is elected chairman of 101 strong Non-Aligned Movement (NAM) in September. The President is awarded the Order of Jamaica and hosts the World Solar Summit and he is elected first chairman of the Sadc Organ on Defence, Politics and Security. He marries his second wife, First Lady Dr Grace Mugabe in August. In June, Zimbabwe hosts the Organisation of African Unity Summit and President Mugabe assumes chairmanship of the continental body. 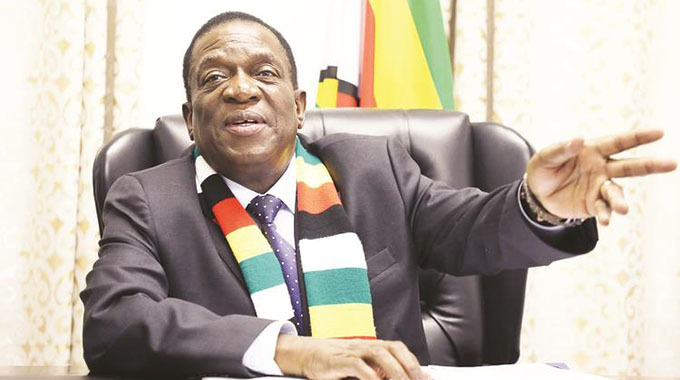 War veterans occupy white-owned commercial farms after voters rejected a draft constitution which had the clause aimed at addressing the colonial imbalances in the ownership of land. The newly-formed opposition party, Movement for Democratic Change, had mobilised voters to reject the draft, and was supported by the white commercial farmers. President Mugabe declines to send police or the army to remove the war veterans from the farms arguing that the land question was the reason why they took up arms against the Smith regime and thus needed to be addressed. This marks the beginning of the fast-track land redistribution programme which saw more than 300 000 households being resettled. President Mugabe is re-elected as President. As a result of the June 2008 vote, there is tension between political parties, resulting in talks aimed at bringing them together. The talks brokered by then South African President Thabo Mbeki result in a power-sharing Government of National Unity comprising representatives from Zanu-PF, the MDC-T led by Mr Morgan Tsvangirai and the MDC led by Professor Arthur Mutambara. President Mugabe retains his position as President while Mr Tsvangirai becomes Prime Minister. Prof Mutambara comes in as Deputy Prime Minister. The GNU is sworn into office. The five year-tenure of the GNU ends, leading to fresh elections. President Mugabe and his Zanu-PF party win overwhelmingly, resulting in the abandoning of the GNU. President Mugabe and Zanu-PF form the new government. President Mugabe launches the Zimbabwe Agenda for Sustainable Socio-Economic Transformation (ZimAsset). The blueprint is aimed at attaining sustainable socio-economic transformation in the four key clusters which are: Food security and nutrition; Social services and poverty reduction; Infrastructure and utilities; and Value addition and beneficiation. President Mugabe is elected as Sadc chairperson. He is elected chairman of the Africa Union. He helps the continent to become more assertive and continues to protect the continent’s resources. He leads the discourse on the industrialisation of the continent and resource nationalism. President Mugabe is re-elected as Zanu-PF’s sole candidate for the 2018 presidential elections at the Zanu-PF people’s congress. He is the current President and First Secretary of Zanu-PF.